After winning the 2019 24 Hours of Daytona with Cadillac and Wayne Taylor Racing, two-time Formula 1 champion Fernando Alonso is turning his attention towards his next major goal: winning the Indianapolis 500. The Spaniard wants to become the second driver to win motorsport’s so-called’ Triple Crown’ – which consists of a win at the Monaco Grand Prix, 24 Hours of Le Mans and Indianapolis 500. Alonso has already won at Monaco in Formula 1 and won the 24 hours of Le Mans with Toyota last year. He took his first crack at the Indy 500 in 2017 with Honda, which saw him run near the front of the pack and even lead the race briefly before his engine let go. Alonso also said he wanted to do something “unprecedented” in motorsport. While the statement is vague, it’s clear that Alonso is open to running all sorts of races and racing disciplines – just as long as he will be competitive in them. In addition to his junior feeder series racing, Alonso has so far raced Formula 1, FIA WEC, IMSA and IndyCar. 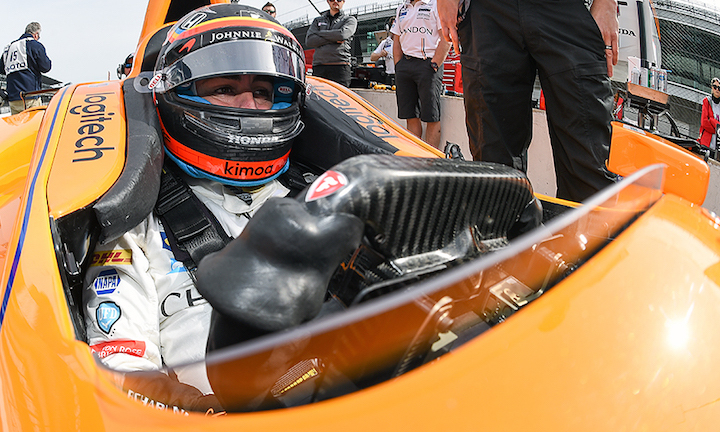 Alonso did a seat swap with NASCAR legend Jimmie Johnson at the end of last year and has also tested an IndyCar on the road course at Barber Motorsports Park. Toyota, which employs him in the FIA WEC, has also said it would be open to fielding Alonso in the Paris Dakar rally should he be interested one day. Like this story? Be sure to check out our Fernando Alonso news page. Guys, that Chevy engine in the Indy 500 needs to be awesome!! I really hope Alonso wins the triple crown. Would love to see an edition from the Corvette road car. The McLaren Corvette!